During our travels, we are always on the lookout for a great cocktail. 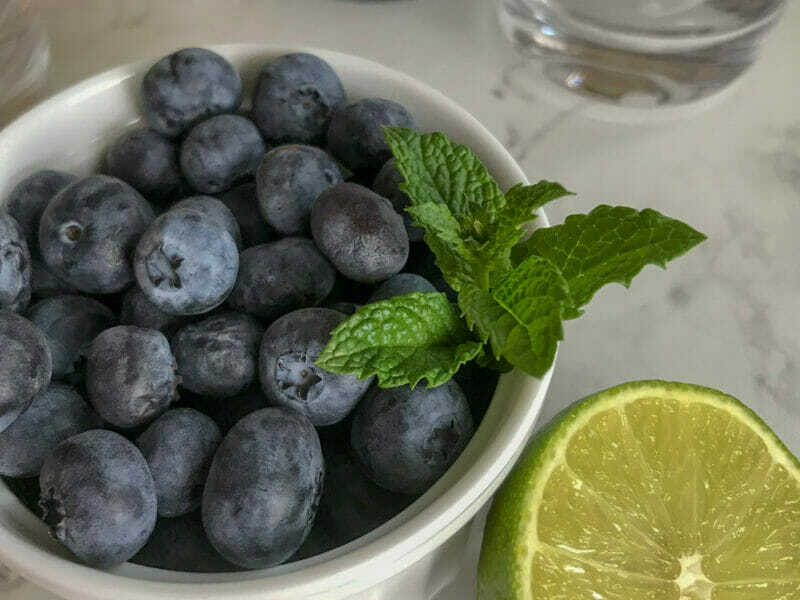 This blueberry mojito recipe is inspired by the Maine Blueberry Mint Mojito from Terrace Grill, in Bar Harbor. After having looked at the ingredients, we noticed that blueberry soda was one of the ingredients. Knowing that it’s not something that wec an easily get at home we needed to stock up. So, before leaving Bar Harbor, we picked up a few bottles of Old Soaker Blueberry Soda from the Atlantic Brewing Company. 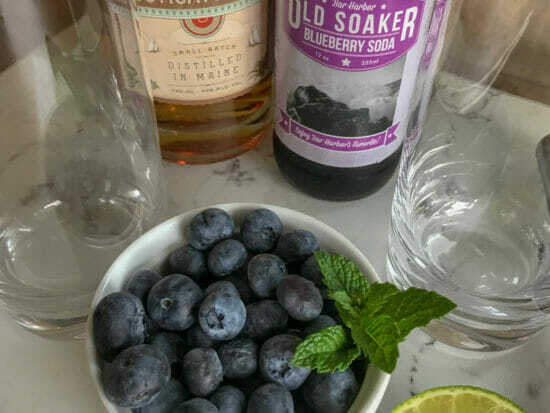 Since we weren’t lucky enough to get the exact recipe here’s our version of the Maine Blueberry Mint Mojito Recipe. This cocktail is prefect for a warm summer day. At the Terrace Grill it was served at a mocktail, but we decided to try it out with and without alcohol. It was very good both ways. Select 2 x 12 oz cocktail glasses. Place 1/4 cup of the blueberries and 10 mint leaves in each glass. 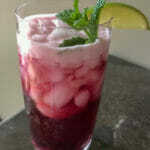 With a the help of a muddler, muddle the blueberries and the mint. Add the lime juice; 1 Tbsp in each glass. Pour 1 oz of your chosen alcohol into each glass. Add plenty of crushed ice to each glass. Garnish with lime wedge and sprig of mint. We chose the Rusticator Rum from Bartlett Spirits of Maine. We highly recommend it if you are able to get your hands on it.